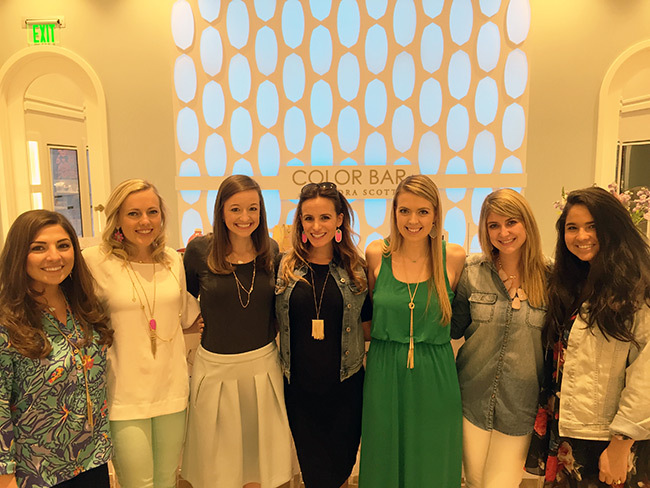 Kendra Scott Jewelry is now is Charlotte.. Hip Hip Hooray!! 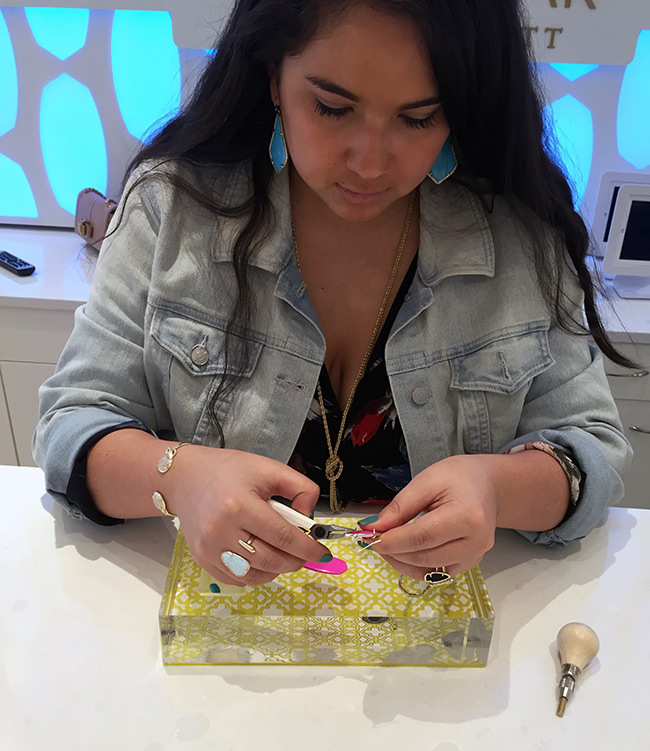 I am a huge fan of Kendra Scott jewelry, from bright, bold colors and designs to delicate, sparkly pieces, there is something for everyone’s taste! 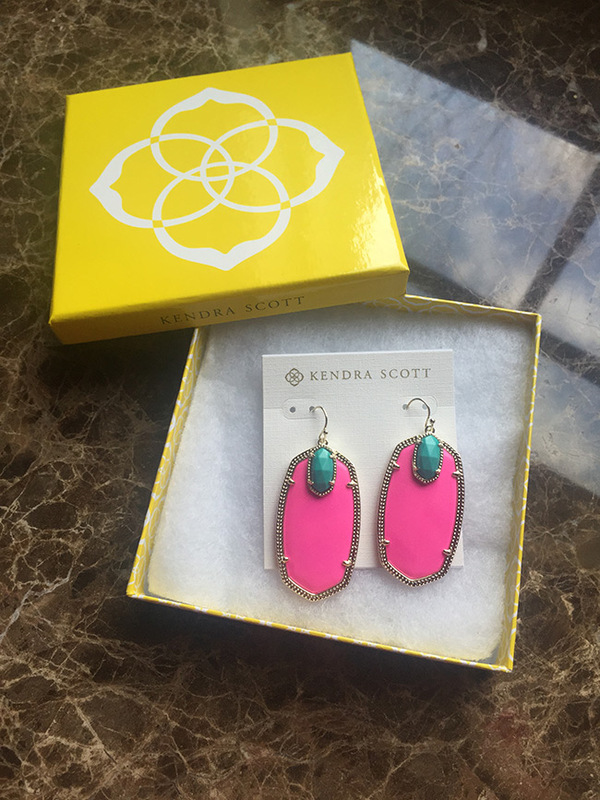 I was so excited when I found out that there would be a Kendra Scott store opening at Southpark mall in Charlotte and had a little outing there the week it opened. First, let me say the store is gorgeous and all the gals there are so helpful and friendly. I literally lost well over an hour in there just looking at all the fabulous pieces in every color you could ever imagine! 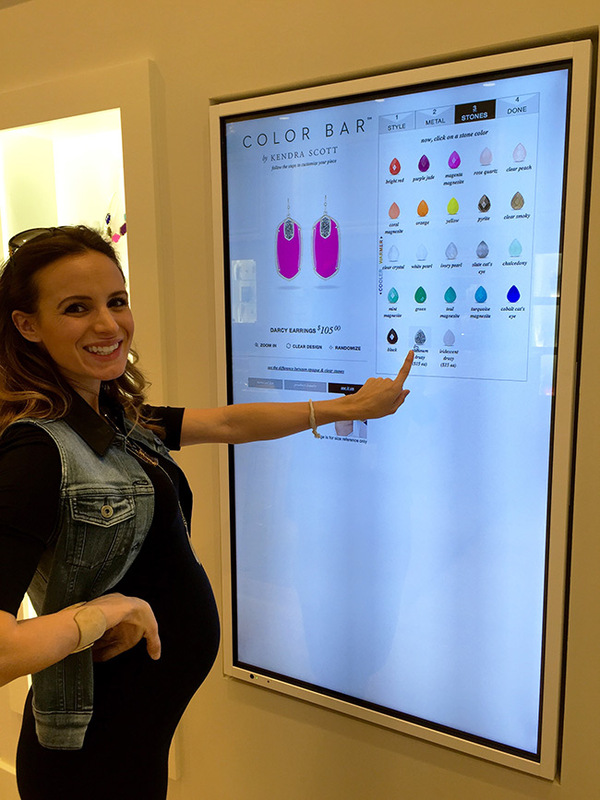 The reason that I am writing this blog though is because I think you readers would LOVE their Kendra Scott color bar. Here you can design earrings and necklaces and watch them be made right in front of you! Instantly, I thought of you ladies that read my blog. Talk about the perfect mommy/daughter birthday outing or what a fantastic bride would you be if you brought all your bridesmaids in to do custom pieces. The possibilities are endless and so fun (they also offer you champagne, juice and cupcakes, how sweet)! The first step in creating your custom piece is to decide on what type of jewelry you want, the design and then if you want them in silver or gold (gunmetal and rose gold are available online only) I went with a large earring that also had a little accent stone on the top. There are a variety stone colors to choose from but since summer is around the corner I went with neon pink and added a little pop or teal. From there you actually go to their color bar and pick out the stones. Each stone is unique and has a bit of color variation to it so you pick the exact ones you want, I wanted a deeper hot pink versus a lighter pink. 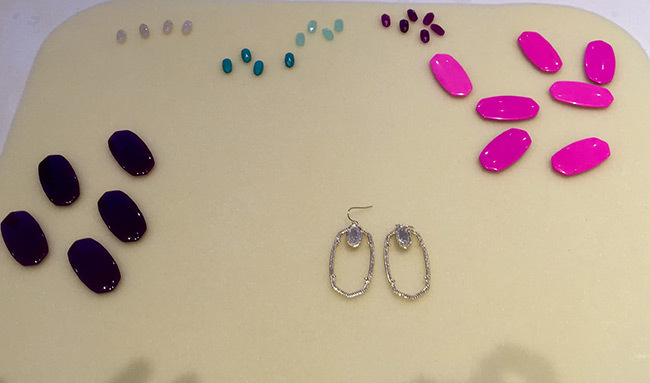 Once you choose the stones you would like they literally make it right there in front of you in a few short minutes! The end product was fabulous and I wore them straight out of the store!